Have you been injured because of a cycling accident that was caused by negligence on the part of someone else? If so, then you could be entitled to claim compensation for your injuries. As long as your injury was serious enough to warrant you taking at least three days off work, and was caused by negligence on the part of another person or party, you could be entitled to claim. Trust our advisors to provide you with the right cycling accident solicitor to handle your cycling accident claim. Whether the cause of your injuries was negligent driving on the part of a motorist, negligent upkeep or management of the road or something else, you could be owed a compensation payment. Call Advice.co.uk to find the right personal injury lawyer to handle your cycling accident claim. We are an established and respected personal injury claims advice service, that can provide you with an excellent personal injury lawyer to handle your claim. Our personal injury solicitors have up to three decades of experience handling claims for people wrongfully injured in road traffic accidents, and will always fight to win you the maximum amount of compensation that you are entitled to. If you have been injured because of a cycling accident that was not your fault, you could be entitled to claim a compensation settlement from the person responsible. We offer a free personal injury claims consultation to all of our potential clients. Call us today to talk to about your cycling accident injuries and if you are entitled to claim, we will estimate what your bicycle accident settlement amounts in the UK could be and provide you with an excellent solicitor to handle your claim. Call us today on 0161 696 9685 to begin your claim. We’re looking forward to hearing from you. What Is A Cycling Accident? How Do I Begin A Cycling Accident Claim? Why Make A Cycling Accident Claim With Us? Cycling is an enjoyable way to travel, whilst also getting fit and doing your bit not to pollute the air. However, cycling is also more risky than other forms of transport on the road, as bicycles are slower than motor vehicles, and the cyclist does not have an outer protective shell that drivers and passengers in cars, vans, and lorries have. Motorists have a legal duty of care towards those who use the road, meaning that they are legally obliged to uphold the health and safety of other road users whilst driving. 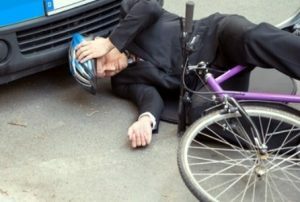 If they fail to do so and their negligence causes a road traffic accident that injures a cyclist, they could be held legally liable for the cyclists’ accident and may have to pay the cyclist compensation. Similarly, if another party causes an accident, such as a company doing repair work on the road, which leads to a cyclist becoming injured, they may have to pay the cyclist compensation for their injuries. In this guide, we will tell you what a cycling accident can involve and share some cycling accident statistics. We will also provide you with a personal injury claim calculator, so you can see how much a cycling accident claim could be worth. We will also take you through the personal injury claims process and advise you on the benefits of using a no win no fee solicitor to make your claim. Remember, we offer a free personal injury claims consultation for anyone looking to claim compensation for a bicycle accident. Call today to speak to one of our informed advisors, who will let you know whether or not you meet the eligibility criteria to make a claim and will estimate how much compensation you could get for a bike accident, depending on your personal circumstances. You will then be provided with an excellent cycling accident solicitor, who will begin work on your cycling injury claim right away. A cycling accident is any accident involving a cyclist where the cyclist is injured as a result. Cycling accidents commonly happen on the roads but can also take place on other terrains, such as a racetrack, in the countryside or in a park. If the cycling accident is caused by negligence on the part of another party, then the injured cyclist could be able to make a cycling accident claim for compensation. This will be separate to any claims made using cycling accident insurance. If you have experienced a cycling accident that was not your fault, which resulted in you becoming injured, you could be entitled to claim compensation. Many of our clients ask us “how much compensation will I get for a bike accident?” You can use our personal injury claims calculator to determine how much your bicycle accident claim could be worth. The amounts we have shown reflect common bicycle accident settlement amounts awarded in the UK. For a quote personalised to you, which also accounts for special damages you could be awarded, call Advice.co.uk for your free estimation. Compensation for salary/ wages £10,000 to £400,000 This is estimated based on your salary/ wages. Compensation for workplace benefits £5,000 to £500,000 This is estimated based on your workplace benefits. Moderate hand injuries £5,110 to £11,640 Including injuries such as breaks and fractures. Similar injuries and crushed hands. Less serious hand injuries £12,670 to £25,430 More serious than a moderate injury. Could include more serious breaks and/ or fractures. Wrist injury - specific type In the region of £6,510 A uncomplicated Colles fracture of the wrist. Minor to moderate elbow injuries Up to £11,040 Can include breaks and/ or fractutres or similar levels of severity in soft tissue injuries. Severe pelvis injuries £68,740 to £114,810 Severe pelvis injuries could lead to the claimant having a disability. Less severe knee injuries £22,960 to £38,120 Could damage the kneecap or the tissues around the knee. Moderate toe injuries Up to £4,900 This might include a moderate toe injury. Funeral cover £3,000 to £10,000 Funeral cost compensation can be over the maximum level in some circumstances. If you successfully claim compensation for a cycling accident, your compensation claim will be awarded in two parts, general damages, which are the main part of your claim, and special damages. Let’s look at what these mean in more detail, below. General damages are the main part of a personal injury claim and are usually the largest amount of compensation awarded. They exist to compensate the victim of the accident for the pain, suffering, and loss of amenity they have experienced as a result of the accident. Reimbursement for medical expenses you have as a result of your injuries, including the cost of doctor’s appointments, hospital treatment, and medication. Reimbursement for travel expenses you have as a result of your injuries, including the cost of a taxi to the hospital, or alternative transport if you are temporarily unable to cycle or drive. Reimbursement for at home care. If a friend or family member cared for you while you were recovering from your injury, you could claim compensation to reimburse them for their hard work. If you are likely to need additional care in the future, you can claim compensation for this too. Reimbursement for any mobility equipment or special adaptations to your home that you may now need. Reimbursement for any income or in work benefits lost because of your accident. This is common if you have to take several days off work as a result of your injuries. According to the Royal Society For The Prevention Of Accidents, or ROSPA, the popularity of cycling is increasing in Great Britain, as a pastime and a method of transportation. This is mainly because of concerns around the pollution that cars cause, and the benefits that cycling can have on your overall health and fitness levels. Unfortunately, the organisation fears that an increase in cycling could mean an increase in serious injuries or deaths caused by cycling accidents. This is because cyclists are more vulnerable on the roads. They don’t travel at the same speeds that motorised vehicles do, so are more likely to come off worse off in a collision, and also don’t have the added protection of an outer shell on their vehicle or driver’s airbags. According to ROSPA’s cycling accident statistics, in 2016 there were a total of 18,477 cycling casualties in the UK. Sadly 1,981 casualties were children. These cycling accident statistics also explain that the total number of casualties, 102 were killed and 3,397 were seriously injured. You can do the following to help keep yourself safe when cycling on the road. Always wear a helmet that fits well. It could save your life. Wear fluorescent clothing during the day, and bright reflective clothing at night, to help you to always be seen on the roads. Be aware of other road users, including pedestrians using pedestrian crossings. Make sure that your bike lights and reflectors work. Never jump a red or amber light on a bike lane or road. You should also maintain your bike and your family’s bikes to a high standard (especially if they are children) to ensure that they are safe to use. We will now look at common cycling claim examples. If you have been injured in an accident that was not your fault, whether it is listed below or not, please call us today to enquire about making a cycling accident claim for compensation. If you are entitled to claim compensation, we will sign a cycling accident solicitor to start working on your case right away. If you have been the victim of a hit and run accident, you have been a victim of a serious crime. Unfortunately, in some cases, the perpetrator is never found, which is distressing for the victim, but also means that they can’t claim insurance from them. Fortunately, the Motor Insurers Bureau Untraced Drivers Agreement allows you to claim compensation from the MIB if you are put in this position. If you need to claim compensation for a hit and run cycling accident from the Motor Insurance Bureau, trust Advice.co.uk to provide you with the right personal injury claims lawyer to handle your claim. Normal personal injury claims time limits apply. Please be aware, reporting a cycling accident to the police is very important. 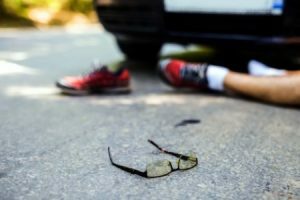 If you have been involved in a hit and run cycling accident, you should report the accident to the police within 14 days of the incident happening. If you are injured in a cycling accident, we recommend that you take the following precautions to help keep yourself safe, and minimise the risk of your injuries. Move away from the road to a pavement, verge or another safe place. Seek the correct medical treatment that you need. This may be an ambulance if you are seriously injured. If the accident was caused by a motorist committing an offense, call the police within 24 hours, Remember, reporting a cycling accident to the police caused by a motoring offense, is your legal duty. If you are involved in a hit and run, try to photograph the vehicle on your mobile phone as it drives away. Take down the name, address and vehicle registration plate of the driver, if they stop as they are legally supposed to. If your injury was caused by a health and safety hazard on the road, photograph the hazard that caused your injury. Get the contact details on anyone who saw the accident. They may be able to serve as witnesses later on. To make a bicycle car accident insurance claim, report your accident to your cycling accident insurance provider as soon as possible. If you have been hit by an uninsured driver, you may be anxious to know whether or not you will be able to claim compensation. Fortunately, you will be able to claim compensation from the Motors Insurance Bureau (MIB) as part of the Motor Insurers Bureau Untraced Drivers Agreement scheme. You will still need a personal injury solicitor to represent you, so call us today to see if you are entitled to claim. Personal injury claims time limits apply. We will now look at common cycling accident injuries in more detail. Before we begin, we would like to share an important safety message with you. We believe that all cyclists should wear a helmet. Especially more vulnerable cyclists such as children, or people cycling on the road. Research from a study conducted in 2016 showed that wearing a helmet whilst cycling reduced the risk of serious head injuries and facial injuries significantly. the study found that people who wore a cycle helmet and were involved in a cycling accident were 70% less likely to suffer from a serious head injury and 65% less likely to suffer from a fatal head injury. Head injuries can be very serious and even life ending. More minor head injuries can result in impaired cognitive function such as: headaches, dizziness, fatigue, depression, irritability and memory loss. More serious head injuries can result in permanent disabilities, the casualty slipping into a coma which they may never wake up from, or even death. If you have been injured because of a head injury caused by a cycling accident that was not your fault, call Advice.co.uk today to enquire about making your claim. In the tragic circumstances of your next of kin relative being killed because of a head injury caused by a cycling accident, we can provide you with a solicitor to make a claim on their behalf. Suffering a broken or fractured bone can be a debilitating experience. Even a more minor accident such as suffering a broken arm or ankle, can affect the sufferer for several months and even have long term effects. Other injuries, such as a limb crushing injury, or a broken spine which severs the spinal cord, can cause permanent disability, including paralysis. If you have suffered a broken or fractured bone as a result of a cycling accident that was not your fault, you could be entitled to claim compensation for your injuries. Call Advice.co.uk for your free personal injury claims consultation now, to begin your claims process. If you were injured in a cycling accident that was not your fault, you could be entitled to claim personal injury compensation for your injuries. Personal injury claim time limits are normally three years since the date your accident happened, or you realised you had become injured. There are a few exceptions to this rule, which your claims advisor can talk to you about. If you wish to make a cycling accident claim for your injuries, we recommend you start right away, to avoid slipping outside of the personal injury claims time limit. General time limit for a cycling accident claim. 3 years. Child cycling accidents Extending from the accident date to the childs 18th birthday. Then, general limit applies. If you have been injured because of a cycling accident, you could be entitled to claim compensation for your injuries. To begin, call Advice.co.uk today. We will estimate how much compensation you will get for a bike accident and will provide you with a personal injury solicitor to handle your claim, providing that you have legitimate grounds to claim. Call today to begin your cycling accident injuries claim today. At Advice.co.uk we give all of our clients the option to make a no win no fee personal injury claim. This means that you will not have to pay an upfront fee. Instead, you will only pay your solicitors fee on the grounds that they win your claim for you. In the unlikely scenario that you do not win your claim, you will not have to pay your fee. For many of our clients, this is the less stressful method of claiming compensation. Call us today, to enquire about making a no win no fee claim today. If you have been injured because of a cycling accident, you may be owed a payment for cycling accident compensation. Trust Advice.co.uk to provide you with an excellent personal injury lawyer to handle your claim. Our solicitors have to 3 decades of experience helping victims of accidents like you claim compensation for accidents that were not their fault, and they will always fight to win you the maximum amount of compensation that you are owed. Contact us by phone, contact form or email. Our experts and advisors will review your claim. If you can make a claim, we could offer you a no win no fee agreement. Call today to see how much compensation you could win and to start your cycling accident claim. We’re looking forward to hearing from you. Advice on how to claim different types of damages for an accident in the workplace. In this guide, we can look at how you can claim compensation for injuries caused by a case study.